Home » Blog » Is Outdoor Running Better than a Treadmill? Runners often argue whether outdoor running is harder or “better” than treadmill running. But which type is really more effective for increasing fitness and burning calories? Keep reading to find out. Running is one of the most popular types of exercise for losing weight or getting in shape – and for good reason. It’s an activity that burns plenty of calories and provides almost-infinite potential for improvement. There’s a divide amongst runners though – and it’s centred on whether outdoor running is better than treadmills. 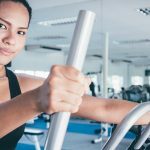 As you can probably guess, the staff at TheHomeGym.co.uk are big fans of treadmills, but we admit there are disadvantages too. So what are the differences between outdoor and treadmill running? One of the hardest parts of exercise is starting. It’s easy to go for a run outdoors when the sun is shining and there’s a gentle breeze to cool you down. Getting the motivation to go on a 10k jog when it’s pouring with rain is a different matter! This is one area where a treadmill shines. You don’t need to worry about the weather or if it’s dark outside. You can even watch TV while running if you wish. Owning a home treadmill is also great for fitting in a quick workout when you can’t leave the house. If you have kids, for example, a 20 minute run on the treadmill can help you maintain fitness without leaving them. 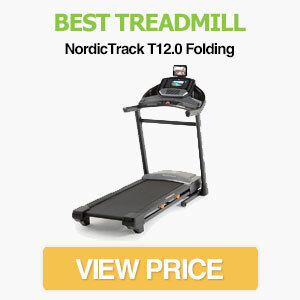 Check out our list of the best treadmills for more information on choosing one. Injuries are common amongst runners, so safety is vital. But is running on a treadmill or outdoors safer? Treadmills are often built with a springy belt. This absorbs some of the impact and can prevent overuse injuries. On the other hand, running on a treadmill causes a monotonous pounding on your joints, which can increase the chance of tendon injuries or other forms of RSI. You can partly counter-act this by buying a treadmill with an incline and mixing up your workout. Outdoor running is much more varied – especially if you’re off-road. The ground is uneven, so every step isn’t exactly the same. This reduces the chance of RSI and can also strengthen your stabilising muscles. The downside is that an unpredictable surface can make it easy to twist your ankle – especially if you’re not concentrating. Of course, when you’re running outside you also need to worry about cars, bikes, unexpected obstacles and dog mess. Running at night can also be hazardous – especially in icy conditions. If you ask most people whether they prefer running outdoors or in their living room, most will prefer being in nature. Aside from our instinctive pleasure from being outdoors, there’s real science behind this feeling. Scientists from the University of Exeter found that exercising in green areas could help with a whole host of mental issues. These include anger, depression and tension. They also found running outdoors could increase energy. There’s also little doubt that outdoor running is more fun. While you don’t get to watch TV, running on a trail or even a road provides variety that isn’t found while pounding on a treadmill. Well-being and enjoyment is one area that outdoor running beats treadmills hands-down. With that said, if your running route is mainly large roads or through a city, you probably won’t get the same benefits. Running enthusiasts claim that outdoor training is better for fitness than a treadmill. But is this really true? It’s certainly the case that there is an added wind resistance when running outdoors. This doesn’t burn as many extra calories as you might think though. In fact, research has shown that simply adding a 1% gradient to your treadmill workout compensates for any extra effort of running outdoors. Considering the convenience of a treadmill, we don’t think this is much of an advantage. There’s something else to watch out for when running on a treadmill though – your speed. People often think they are going faster than they really are when on a treadmill. This is probably because you can’t judge your pace in relation to other objects. If you want to burn the same amount of calories on a treadmill as outdoors, you’ll need to crank up the speed a bit. In our opinion, running on a treadmill has a number of advantages for getting in shape – but the “best” option depends on your goals and preferences. If you have a park or woodland nearby that’s great for running, and don’t mind training in bad weather, outdoor running can provide a small extra boost in fitness and mood. For convenience, comfort and a softer running surface, a treadmill is the right choice. How does a treadmill compare to other types of gym equipment though? I have joint pain so I want it to be low impact.